As any good geek out there today we went to see the 15 minute preview of Jame Cameron's new film Project Avatar. After a brief hailing from the big man himself the preview started and took us slowly from a 3d real world to a stereoscopic 3d magical alien jungle world with the most vivid colours imaginable. I was very impressed by the use of technology especially when it comes into sucking you into the world through the creation of the right images and atmosphere. 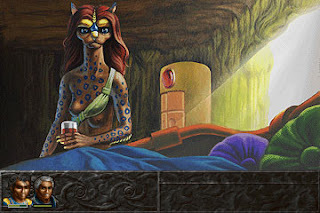 In the first Jungle scene with the female feline warrior I had a flashback. 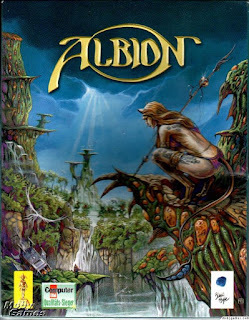 The flashback took me back to a 1996 excellent RPG called Albion. 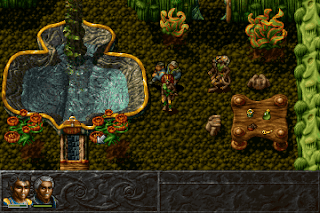 I am positevely, absolutely sure that the initial idea behind the world of Avatar comes from this RPG. It takes place in an Alien Jungle world where the hero, a human, arrives from a world of technology to find an alien world full of vidid colours and a feline society that is living in harmony with nature and the rest of the creatures.